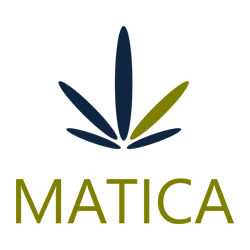 September 27, 2017 – Toronto, Ontario – Matica Enterprises Inc. (MMJ–CSE) (39N – Frankfurt) (MQPXF – OTC PINK) (“Matica” or the “Company”) is pleased to report that on September 25, 2017 the Company signed a new non-binding letter of intent (“LOI”) for Matica to become a majority owner of a late stage application under the Access To Cannabis for Medical Purposes Regulation (“ACMPR”) in southwestern Ontario. Management began talks with owners of the ACMPR applicant situated just outside of Windsor Ontario almost one year ago. We are please to have come to an agreement on terms and will proceed to a definitive agreement (the “Agreement”) to acquire the application. The facility is located on 14 acres of agricultural land. The application is for a 13,000 square foot building which is immediately expandable to 24,000 square feet by extending it to an adjoining building. Matica has also negotiated a favourable purchase option for the entire 14 acres so that a much larger facility can be built on the property at a later date. After successful due diligence and signing of the definitive agreement, Matica will b required to spend $3,000,000 on construction to earn 100 percent on the application. Matica has agreed to net profit royalty (“NPR”) of forty percent (40%) on earning from the initial building only. Should Matica construct additional marijuana growing operations on the 14 acres property, no such NPR will be paid and Matica will retain 100% of earnings. Construction on the 10,000 square foot Dorval facility is progressing. Preparations for the HVAC installation are continuing. Internal separations for grow rooms have begun. We are very pleased with the pace of construction.